From interstate 75N take exit 144 for Corinth, turn right at exit go approx 1 mi to stop sign turn right on US-25 S for 0.3 mi, turn left on Corinth-Stringtown Rd/Stringtown Rd for 1.6 mi, turn right on Gainsway Rd. Property is on left at bottom. Looking for a little slice of relaxation. This property is being Sold As Is. You will have privacy on this 10 ac. with small cabin that has living room, kitchen, bath with laundry and 2 bedroom. If you like to hunt or fish are just relax this could be what you're looking for. This is NOT a lake front lot but is a short distance to lake. 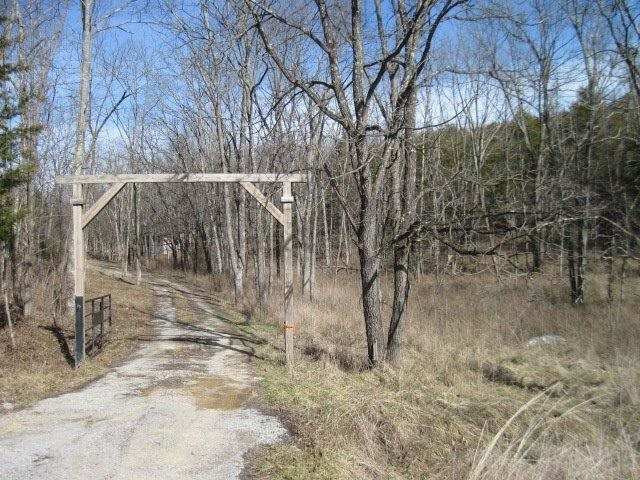 This property is located in Harrison Co with a mailing address of 997 Gainesway Drive, Corinth, Ky 41010. School is Harrison Co and taxes to be paid in Harrison Co.